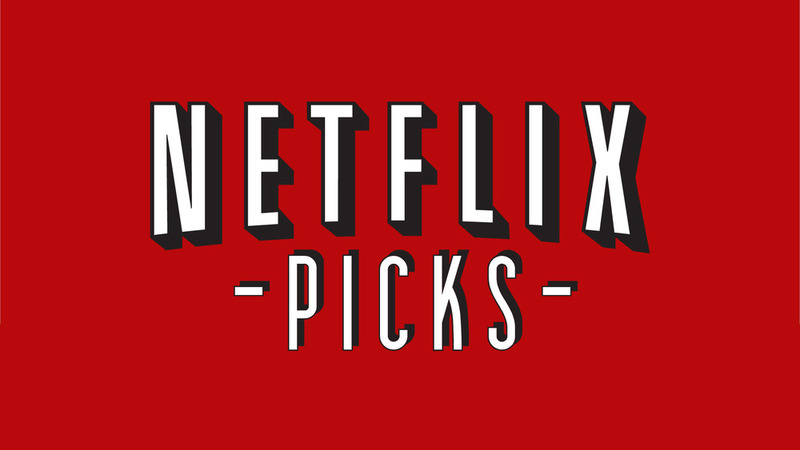 Netflix Picks is a feature published the first and third Wednesday of the month with a list of seven films currently available for streaming on Netflix and the reasons for why you should watch them. 1.) Once Upon a Time in Anatolia (2011)- A Turkish film by director Nuri Bilge Ceylan, it popped up on many critics’ top ten lists in 2012 but went unseen by most cinemagoers in America. The premise is straightforward- a trope of men, policemen, doctors, etc, are searching for the corpse of a murdered man in a vast tortured landscape at night, often illuminated by the solitary beams of car headlights. It’s a haunting image for a haunting film, full of weary men and the secrets they try and keep. The first half is the stronger, and functions as a damning gateway to existential turmoil, using the the proxy of a body search to meditate on the nature of being. It’s a heavy film and not for the lighthearted, but for the patient and cerebral viewer, it’s a treasure, and that’s why it gets the top spot. 2.) Eternal Sunshine of the Spotless Mind (2004)- If you could erase away all the memories and pain of past relationships, would you? This is a film of romance and fractured memories following the consequences of a love story running amok parallel to a new procedure that allows the deletion of specific memories. Jim Carrey fronts the cast with a sweet melancholy, a showcase for his dramatic skill as an actor that’ll make you wish he ventured into serious territory more often. It’s a kooky off-kilter delight. 3.) Let the Right One In (2008)- A Swedish film by filmmaker Tomas Alfredson, it is simply the finest vampire film in a decade or more, maybe even ever. The careful compositions of cinematographer Hoyte Van Hoytema are stunning and stages the minimalist action and drama with necessary precision. It’s a tender, scary, but beautiful film, and it’s one of my most common recommendations. Let the Right One In is an easy film to love. 4.) The Host (2006)- Part political satire, part family drama, and part mega-monster on the loose action movie, this Korean gem shook waves upon release and continued the prolific career of loved South Korean filmmaker Bong Joon-Ho. It follows a dysfunctional family who, of course, can only learn to come together when confronted with a unifying crisis, this case being a frightening monster terrorizing citizens. Its outlandish and often campy tone lends the film a thrilling levity, never taking anything too seriously except the characters. It’s a highly successful formula, one Hollywood should learn from. 5.) Side by Side (2012)- Perhaps the most vital and relevant debate within the film industry today is film vs digital. Champions of film continue to be Dark Knight Trilogy creator Christopher Nolan, Steven Spielberg, Quentin Tarantino, and many others. Digital’s pioneers include other filmmakers of similar fame, such as David Fincher, James Cameron, and even classic filmmaker Martin Scorsese. Although they all don’t appear in the Keanu Reeves led documentary Side by Side, compelling arguments by each side are given in this chronicle of the discourse between the opposing sides. It’s a highly entertaining documentary, shedding light on this essential issue confronting the film industry today. 6.) The Thin Blue Line (1988)- If you’ve ever seen a cop show or documentary where the crime is re-staged and depicted on screen for the viewer to see, it owes a massive debt to the documentary masterpiece The Thin Blue Line. The film is reconstruction of a case gone wrong, effectively arguing with multiple forms of testimony that a man was convicted for a crime he didn’t commit. It set the gold standard for all documentaries or non-fiction programming involving the police, the court, or crime as a whole. Fascinatingly, there’s an undercurrent of post-modernism throughout, letting viewers marinate in questions of subjective reality and truths. It’s a compelling work that was ground breaking upon release, and I couldn’t recommend it enough. 7.) Manhattan (1979)- One of Woody Allen’s most loved pictures, and with reason. It doesn’t carry the one-two punch witticisms of his best picture winning Annie Hall, but it remains Allen’s most artistically accomplished work. It walks a beautiful line between exploiting how we walk down the wrong paths in life and why and carrying a playful romanticism towards love and relationships. The majestic and gorgeous photography sets an epic stage for Allen to wrap up the best solution he’s ever had for the modern relationship, and it couldn’t have painted a prettier picture. I’ve come to believe it’s the most romantic movie ever made.